On Thursday, President Obama apologized to Americans who are losing their current health insurance, after repeatedly reassuring them that they could keep their own plans. More importantly, he vowed to make it a priority to fix the glitches in the system as quickly as possible. Presidents don&apos;t often take ownership of their mistakes and apologize to the American people. Here are seven famous instances in which they have. Clinton apologized for a scandal entirely of his own making, unlike Obama and Reagan. There were no bureaucrats, insurance companies, or other members of his administration that were responsible for the "inappropriate" relationship with Ms. Lewinsky or him lying about it. After some NATO soldiers burned Korans in Afghanistan, prompting violent riots that endangered our troops, President Obama apologized to Afghan President Hamid Karzai in an attempt to defuse the situation. While the majority of Americans supported the President&apos;s apology, it was met with a lot of scorn from the right. 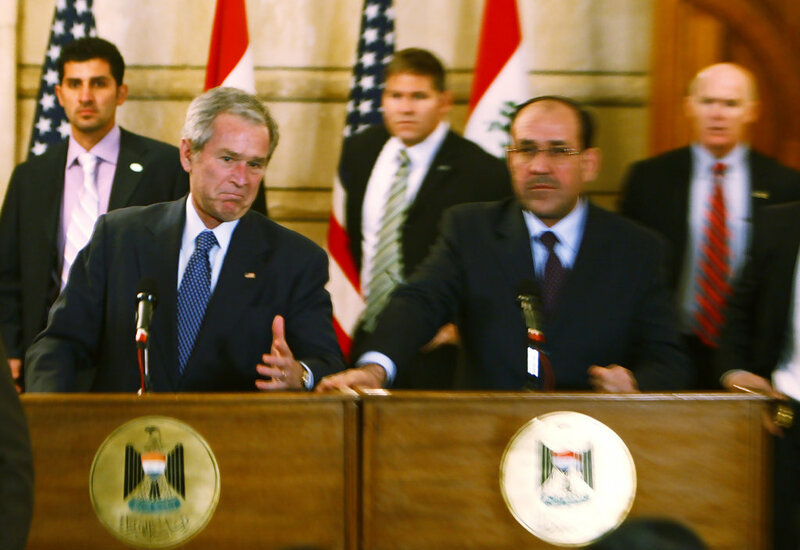 President George W. Bush apologized to Iraqi Prime Minister Nouri al-Maliki after a U.S. soldier used a Koran for target practice. And, of course, the right was outraged. Just kidding. President George H.W. Bush&apos;s 1988 campaign pledge "Read my lips, no new taxes!" was broken in a 1990 budget deal. In March of 1992, he said he regretted raising taxes. "If I had to do it all over, I wouldn&apos;t do it." He told an interviewer, "Look at all the flak it&apos;s taking." Granted, this apology came almost three decades after he left office, but being a former president, it still counts as a presidential apology. Former President Jimmy Carter apologized to the Jewish community in an open letter for stigmatizing Israel, offering an Al-Het. The controversy arose due to Carter&apos;s 2006 book, Palestine: Peace Not Apartheid. In it, the former president uses the word "apartheid," effectively comparing Israel&apos;s current policies to South Africa&apos;s. Carter asked for forgiveness, emphasizing that, "We must recognize Israel&apos;s achievements under difficult circumstances." His apology was accepted by the national director of the Anti-Defamation League, Abraham Foxman. On April 21, 1961, President John F. Kennedy took responsibility for the failure of the Bay of Pigs invasion. He said, "There&apos;s an old saying that victory has a hundred fathers and defeat is an orphan ... Further statements, detailed discussions, are not to conceal responsibility because I&apos;m the responsible officer of the Government ..."
After the speech, President Kennedy&apos;s approval ratings actually soared. Maybe there is something to be gained from offering an apology when it is due.